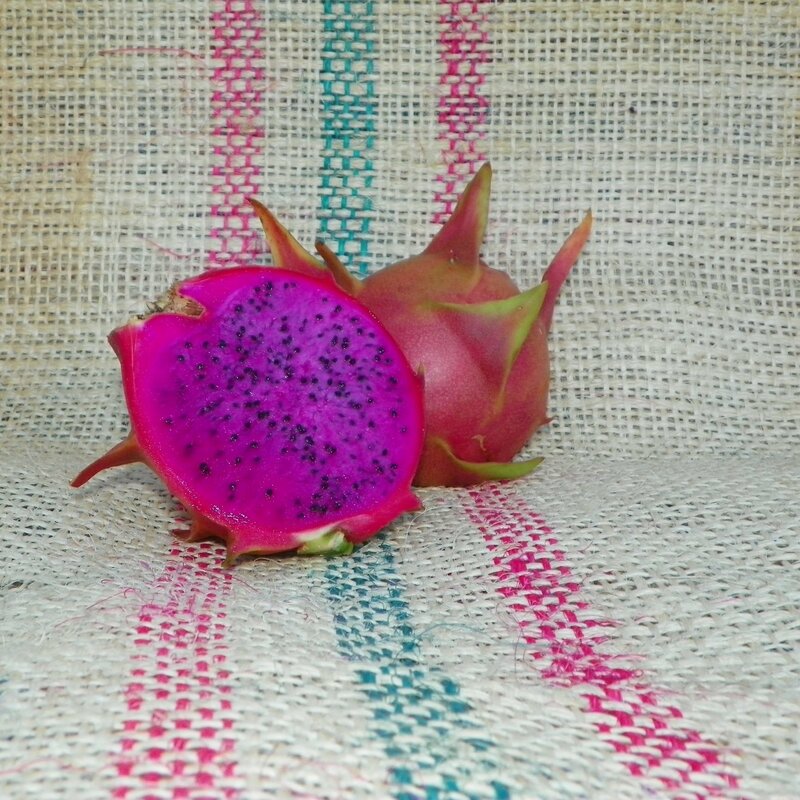 American Beauty Dragon Fruit variety comes from the genus Hylocereus and the species guatemalensis. 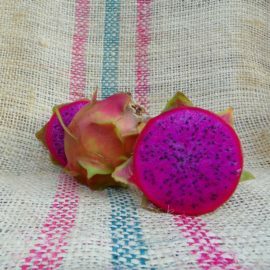 This variety Dragon Fruit has an impressive appearance both inside and out. It also has the flavor to back up its good looks. 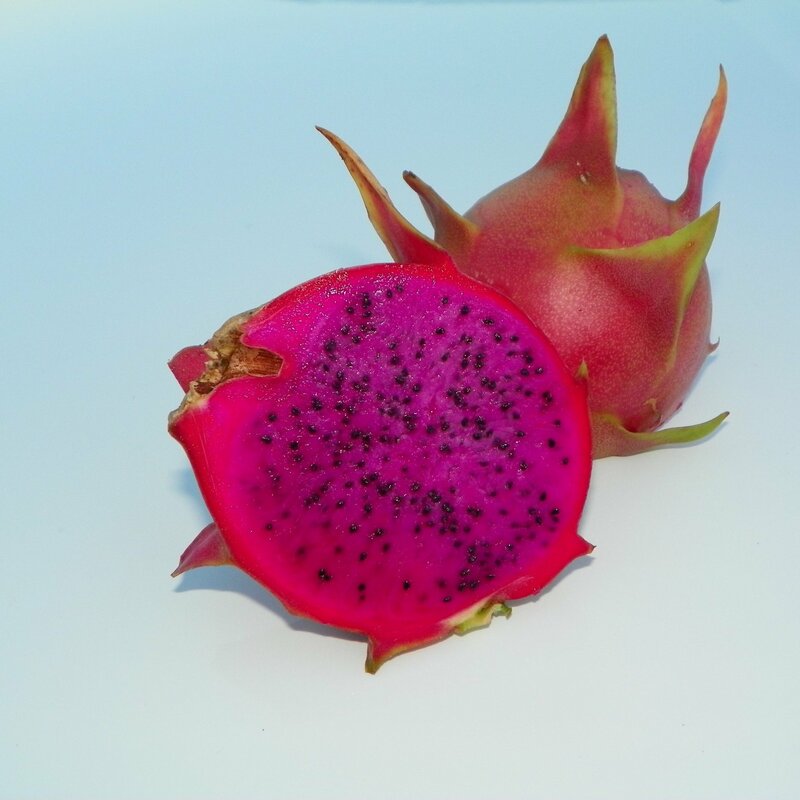 The fruit size ranges from 0.5 to 1 pound and occurs without cross or hand pollination. 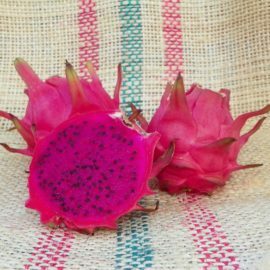 When the is fruit is ripe, it is round and the deep green fins blend into the pink skin giving the fruit a nice green to pink fade. 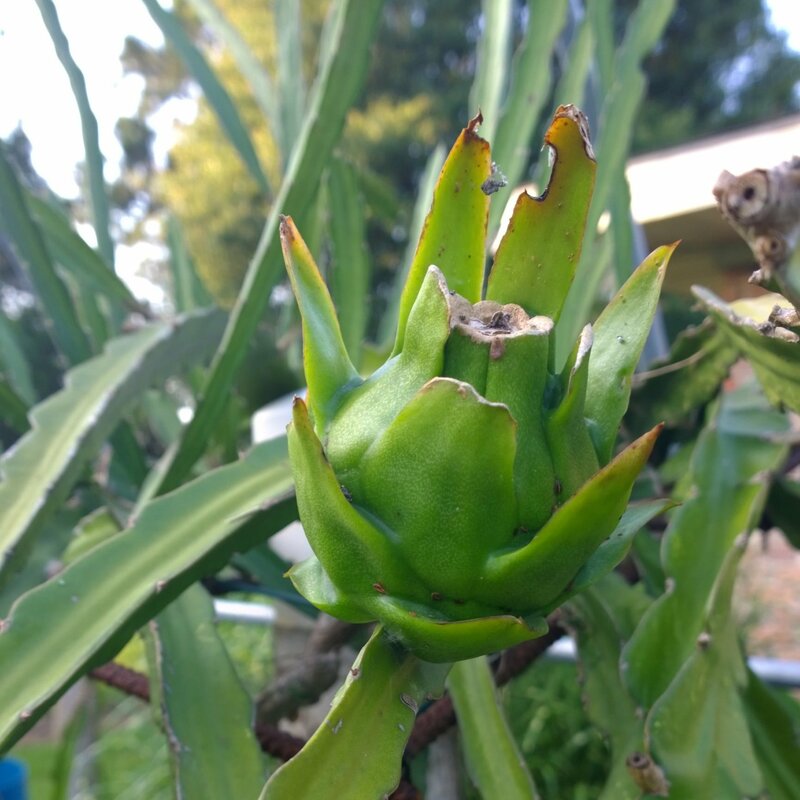 Stems of the plant are three sided with small spines. 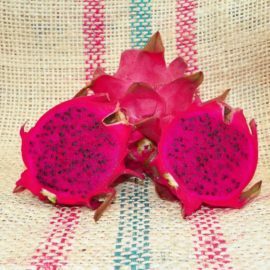 They have a heart-shaped rib that is very typical of Guatemalan varieties. 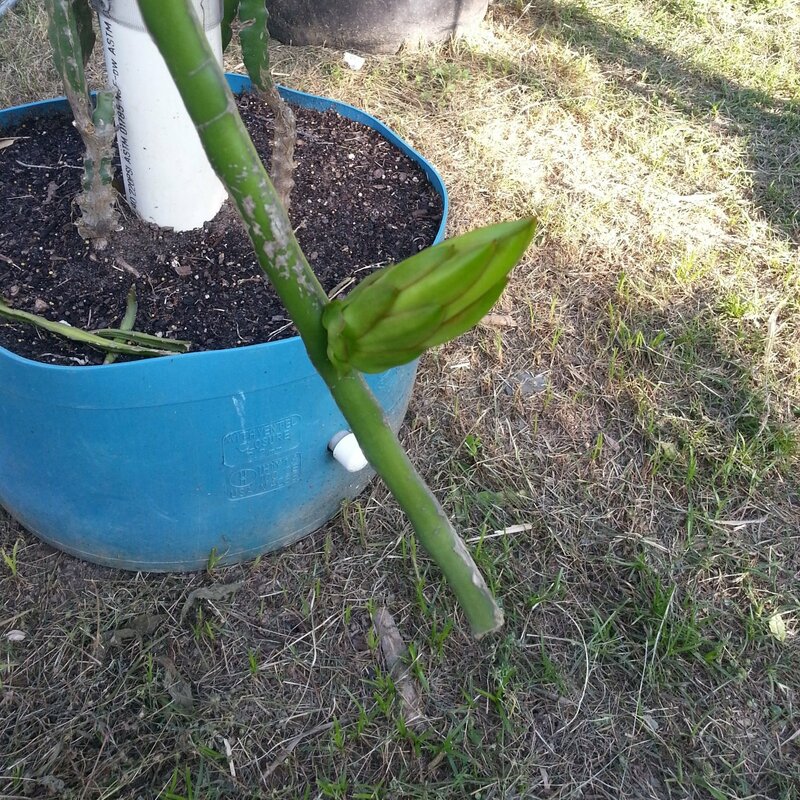 This variety was one of the first two varieties that started Spicy Exotics in 2006. The other two being Thai Dragon and Physical Graffiti. 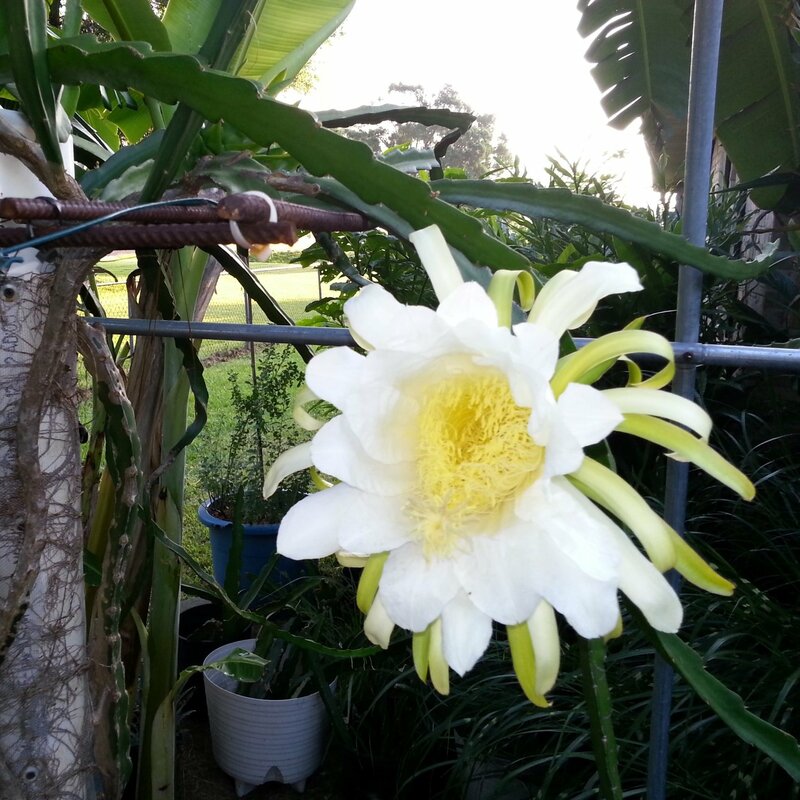 In 2014 this plant was nearly lost due to disease. After some tender love and care, it had a new start in 2015. Recent DNA test has shown that American Beauty and Bien Hoa Red to be considered the same. I find Bien Hoa Red to produce slightly larger fruit. 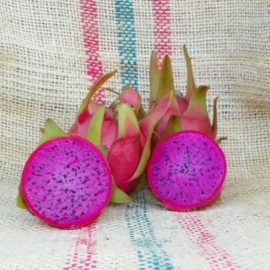 This Dragon Fruit variety was acquired from a tropical nursery in Louisiana. I was also told later by the Louisiana nursery that this variety carried the same name as Quang Ong Self Fertile.